Johann Strauss was born on October 25 in 1825 in Vienna. His family called him Schani (Austrian nickname for Johann), as his father’s name was also Johann. Johann Strauss’ father, who together with his friend Josef Lanner created the waltz in its present form, was strictly against his son also becoming a musician. For him only a bourgeois profession was acceptable. His mother Anne however, recognized her son’s genius and supported his ambitions, for which he was grateful all his life. October 15 1844 was a date that made history. On this day Johann Strauss – without his father’s consent – performed for the first time with his own orchestra and compositions in the Dommayer Casino in the Vienna district of Hietzing. A tenacious battle between father and son arose about who would have the musical hegemony in Vienna. Despite his son’s sensational success the father largely prevailed and was awarded the title of Royal Court Ball Musical Director (K und K Hofball-Musik-Direktor). In 1848 he proved his conservative attitude and loyalty to the monarchy by composing the „Radetzky-March“, the march of all marches, honoring the triumphant return of the 82-year-old commander Radetzky after defeating the Italians in the Battle of Custozza. Johann Strauss junior however, did not deny his sympathy for the ideas of the 1848 revolution which only earned him a long lasting distrust from the Imperial family. After his father’s death he took over his orchestra. Now, free from the competition, he began to press ahead with his career. However, his request to inherit his father’s title as “Royal Court Ball Musical Director” was declined. 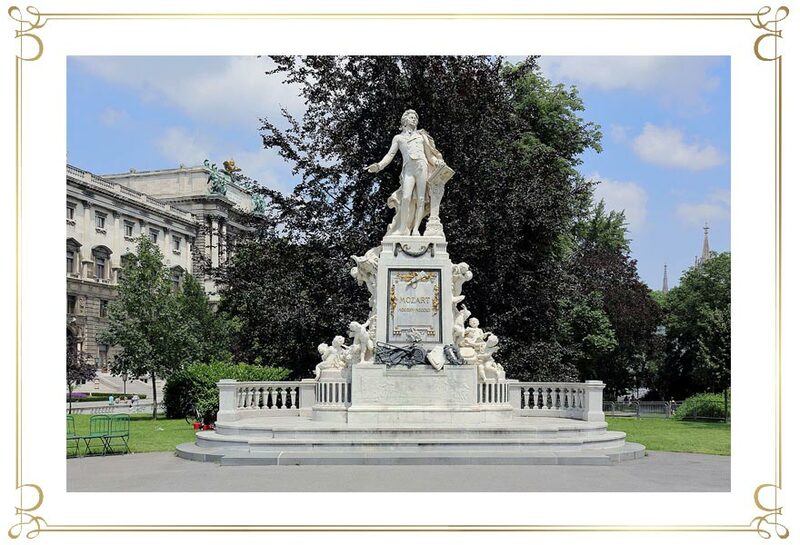 The fascination towards his music was something even the Emperor’s court could not deny and so from 1851 onwards he was allowed to perform in the Hofburg now and then. On April 27 1854 Johann Strauss even directed the grand Court Ball in the Redouten Halls, which was the celebration of Franz Josef’s wedding with the Bavarian Princess Elisabeth, later known as „Kaiserin Sissy“ (Empress Sissy). Still, he had to wait for the title as Royal Court Ball Musical Director until 1863. 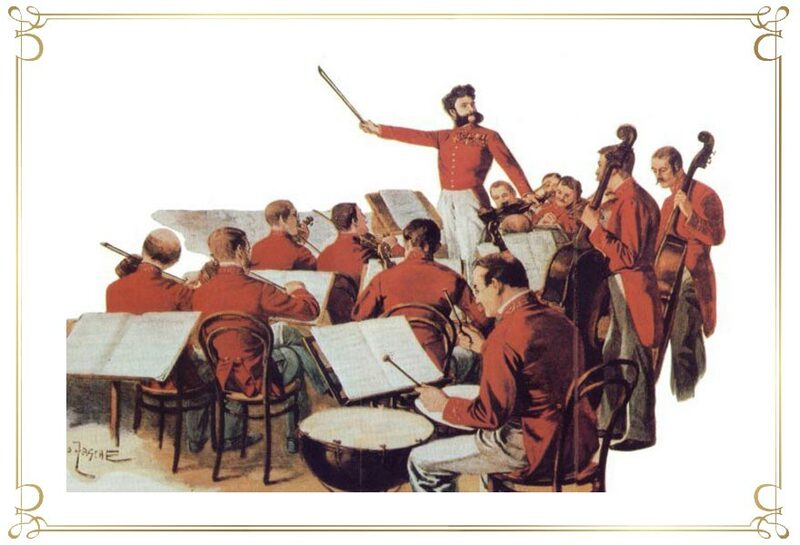 His father composed the “Radetzky March“ in the revolution year of 1848. This most famous march is traditionally the last piece played at the Vienna New Years Concert finale. The new dance and the enduring waltz melodies conquered the world. Johann Strauss and his brothers made the waltz popular with uncountable tours and engagements. 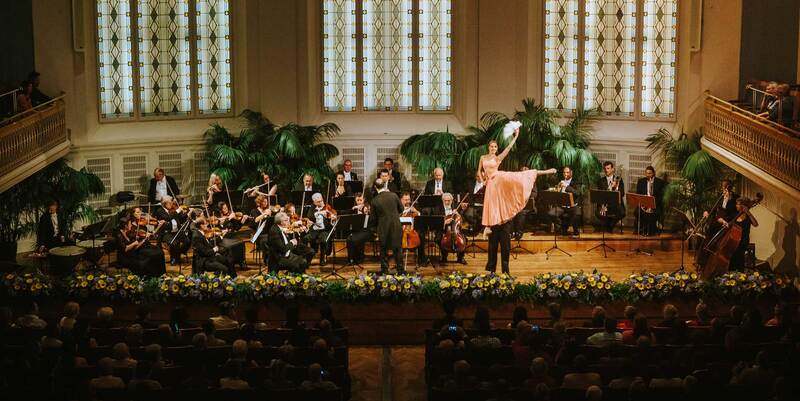 In all of Europe and beyond, a sheer waltz-mania broke out. In the summer of 1856 Strauss was invited to Russia for the first time to conduct at concerts and balls in the famous Vauxhall Pavillon in Pavlovsk. His success and popularity was so immense that for 10 years, until 1865, he spent every summer as a celebrated star in Pavlovsk. His earnings from that time were the foundation for his later fortune. His performance at the World Peace Jubilee, to which he was invited by the city of Boston in 1872, was spectacular. Supported by 100 sub-conductors he directed an orchestra of 20,000 musicians performing in front of an audience of 100,000 people. At the age of 37 the smart elegant musician, who of course was adored by many women, finally decided to marry. His first wife, the former opera singer Henrietta Chalupetzky , called Jetty, was a self-confident, sultry and witty cosmopolitan lady, who had led an unusual life. At marriage she was already 44, a good seven years older than the King of Waltz. Nonetheless, with Henriette Johann Strauss hit the jackpot and the very happy marriage only ended with Jetty’s death in 1878. Johann couldn’t stand being alone and so he married Lili shortly after, a girl who was 25 years younger than himself. Yet, her life with the restless and difficult musician was soon unbearable for Lili and so she left him after four years. Divorce however, was not possible in catholic Austria. Strauss met Adele, a 26-year old widow, and found happiness a second time around in his life. After five years living together the couple finally wanted to marry and so they decided to convert to the protestant religion. For this purpose they had to become citizens of the German dukedom of protestant Saxonia-Coburg-Gotha. And so the most famous Austrian suddenly became a German. During his marriage to Jetty, Johann Strauss composed Austria’s unofficial hymn “The Blue Danube”. He had originally written it as a choral for the Vienna Men’s Choir. As such it was performed on February 15th in 1867 in the Dianabad Hall. Despite the heat in the overcrowded hall, and a far too long program, the enthusiastic audience demanded an immediate encore. The “Danube Waltz”, as it is often called was meant to be a vocal piece. Shortly after the premiere Johann Strauss published an orchestral version, which in the same years was a sensation at balls and concerts and until today has been a synonym for the waltz as such. 1871 saw the premiere of “Indigo and the 40 Thieves“ , Strauss’ first operetta, in the Theatre an der Wien. The audience in the sold out theatre was enraptured and Johann Strauss had discovered a new terrain and loved it. Many of his following operettas have become immortal and unforgettable. “Die Fledermaus” has become the worldwide most performed operetta of all time. The premiere in 1874 in the Theatre an der Wien celebrated Johann’s 30th public performance anniversary. In the German language the title of the song “Glücklich ist, wer vergisst, was nicht zu ändern ist“ (happy who forgets what you can’t change) has become a common proverb. Other well known Johann Strauss operettas that are still popular today include “Eine Nacht in Venedig” (A Night in Venice, 1883) and „Der Zigeunerbaron“ (The Gypsy Baron), that premiered in 1885, one night before Johann’s 60th birthday. Towards the end of his life Johann Strauss fulfilled one of his life-long dreams: he wanted to prove to himself and the world that he was capable of writing “serious“ music. New Year’s Day 1898 then saw the premiere of his opera “RitterPasman” (The Knight Pasman) at the Vienna Opera. In the late fall of 1898 he completed the rough version of his ballet “Aschenbrödel”(Cinderella), however he didn’t live to see the premiere. In May 1899 Johann Strauss fell ill and suffered from a severe cold and a gastrointestinal illness. During an ensuing pneumonia in June he fell into unconsciousness. He must have felt that his life was coming to an end – his wife heard him humming – in his rare awake moments – the melody from the song: “Brüderlein fein, ‘s muss geschieden sein” (Little brother it’s time to part). This song about saying farewell and death – that is well known even today – was written by his former music teacher Joseph Drechsler. Johann died on Saturday June 3rd shortly after 4 pm in the arms of Adele. His last journey was the procession through Vienna; his coffin was carried from Igelgasse, past the Theatre an der Wien to the protestant church in the Dorotheergasse for the consecration. Then he was escorted to the Zentralfriedhof(Central Cemetary), passing the Hofoper (Court Opera) and the Musikverein building. 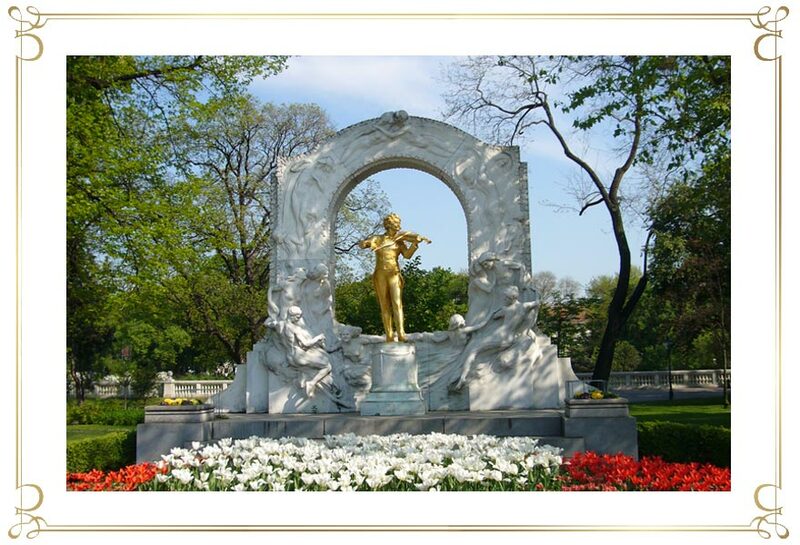 Johann Strauss’ grave is close by other musical geniuses such as Beethoven, Schubert, and Brahms. Mozart’s parents Anna Maria and Leopold had seven children, but only Wolfgang and his sister Maria Anna, called “Nannerl” – born 1751 – survived past birth. He was born on January 27th 1756 in Salzburg and was baptized as Joannes Chrysostomus Wolfgangus Gottlieb; his family called him Wolfgang. Later he chose the Latin version of his middle name Gottlieb and thus went down in music history as Wolfgang Amadeus Mozart. His father was deputy Kapellmeister to the court orchestra of the Archbishop of Salzburg, and so little Wolfgang was surrounded by music from an early age on. His father systematically yet carefully promoted Wolfgang’s playful musical experiments. Wolfgang began to play the piano when he was 3 years old, at 4 his first compositions were put on paper, at 7 he was able to play the violin and shortly after also the organ – although he had to do so standing up. At the age of 12 he composed his first opera “La finta semplice” by request of Maria Theresia and Josef II. Mozart’s Childhood and youth “on tour” started with a journey to Vienna in fall of 1762 that was highlighted by a performance in Schloss Schönbrunn (SchoenbrunnPalace). It is said that 6-year old Wolfgang climbed on Empress Maria Theresia’s lap to give her a kiss. Soon after, Mozart set out for a 4-year journey visiting Germany, France, Belgium, the Netherlands and England. Three journeys to Italy between 1770 and 1773 followed. 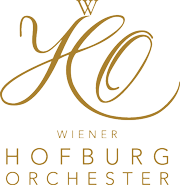 These concert tours were intended to present Wolfgang to Europe’s royalty and peers and to arrange meetings with top-class musicians as well as renowned scientists and artists so that he would have important contacts for his future career. Highlights included a performance for the English Royal Family, the award of the title Ritter vom Goldenen Sporn (Knight of the Golden Spur) bestowed upon him by the Pope, and the admission into the “Accademia filarmonica“ in Bologna. At the age of 13 the Salzburg Archbishop Siegmund Graf Schrattenbach accepted Wolfgang into the Hofkapelle (court orchestra). Having traveled the world Wolfgang felt constricted in Salzburg and dreamt of being employed at a large court. Many years of efforts to achieve such as status were however unsuccessful. Since 1772, a new Archbishop Hieronymus Colloredo had reigned in Salzburg and his relation to the Mozarts was increasingly strained. During a stay in Vienna the conflict escalated when a servant of the Archbishop kicked Wolfgang, and young Mozart then terminated his employment at the Salzburg Hofkapelle (1781). Although without income for a while, Wolfgang was a happy man as he was in love. One year later he married Konstanze Weber, who in fact was the sister of his first tempestuous love Aloysia, a girl with whom he originally had planned his future at the age of 22, four years previously. Shortly before his wedding the opera “Die Entführung aus dem Serail“ (The Abduction from the Seraglio) premiered. At the end of 1784, Wolfgang Mozart joined the freemason lodge „Zur Wohltätigkeit“. The wedding plans did not suit both families, but they were a fitting couple and their 9-year marriage was harmonious, although it was clouded by the death of 4 out of 5 children and Konstanze’s severe illness that broke out 1789. Within a short time Mozart managed to become the most popular and highest paid musician in Vienna. 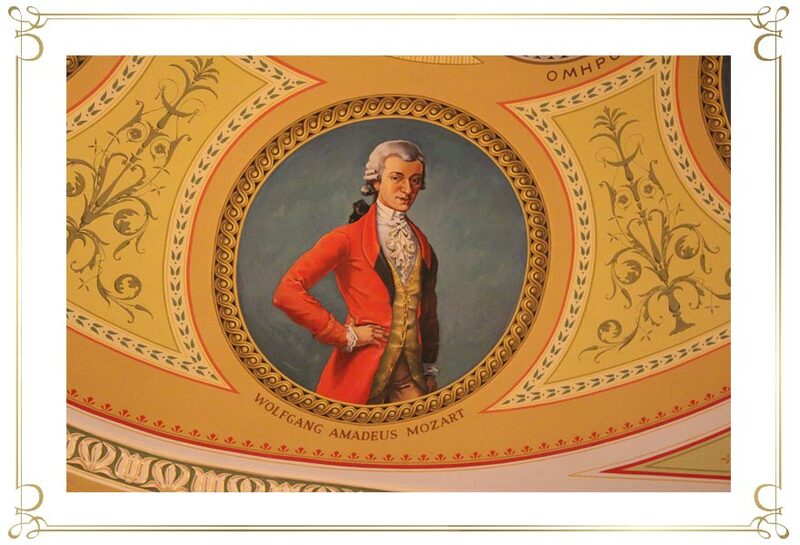 Kaiser Josef II was Mozart’s special patron, also bonded by their masonship. Mozart’s suggestion to write an opera about aristocratic privileges and feudal arbitrariness is a sure sign that he was aware of the Emperor’s political intentions. Josef II was in the process of curbing the aristocrats’ powers to centralize authority in himself…. Mid-1786 saw the premiere of “Die Hochzeit des Figaro” (The Marriage of Figaro). The aristocrats in the audience understood the warning and boycotted further performances. However, shortly after the opera was a great success in Prague. Here Mozart also was requested to write his next opera “Don Giovanni”, that premiered in 1787 in Prague and was enthusiastically accepted by the audience. The Viennese audience took offense at the plot and considered it to be too rough for the “k. k. National-Hoftheater“ (Royal Theatre). Even the wonderful music couldn’t change that attitude. Opportunism is definitely something Mozart can’t be accused of in any situation in his life. His next opera “Cosí fan tutte” again provoked a scandal due to the displayed “immorality”. Then the Turkish War that started in 1788 and strongly constricted Vienna’s social life, as well as Konstanze’s illness, led to a financial bottleneck for Mozart. Although he wasn’t afraid of polarizing the audience with his operas. Mozart was a big star in his time and earned enormous sums. However, his lifestyle was costly and he didn’t waste a thought on savings or provisions. He was generous and often helped friends who needed money, which frequently plunged him into a financial crisis. Mozart’s final year was one of the most productive and successful years in his life: his income was terrific and he had freed himself from the restraints of the royal court’s commitments. After his patron Josef II died, he turned to the common audience and composed his most famous opera “Die Zauberflöte” (The Magic Flute). The opera wasn’t performed at the Hoftheater (Court Theatre) but at the popular Freihaustheater (today Theatre an der Wien), at the time a suburban stage. The opera’s fairytale-like storyline is full of symbols and innuendos that convey the freemason’s ideas of Enlightenment. Once again Mozart demonstrated moral courage, as the freemasons were under surveillance by the state police. The anonymous assignment for a requiem in 1791 later gave reason to speculate about Mozart’s death. The assignment came from Count Walsegg-Stuppach, who planned to stage the piece as his own work. Mozart however only completed a draft of the requiem. At the end of November 1791 Mozart fell ill and died on the 5th of December at 1am in his apartment in Rauhensteingasse. Mozart was buried in a common grave which was neither a consequence of his alleged poverty nor of Konstanze’s lovelessness. In fact this kind of burial went back to Emperor Josef II and was common at the time. Later a monument was erected in St. Marx Cemetery instead of his grave.